The allegations detail his conduct with five female patients that received dangerous drugs from Santella over the course of up to 25 years. He failed to conduct physical exams before administering drugs, failed to record fact he administered drugs to them in the patient medical records, and failed to monitor the patients’ other serious conditions. The Board Accusation also notes Santella’s previous discipline should be taken into consideration. In 2000, Santella’s medical license was revoked for failing to maintain adequate medical records. That revocation was stayed and Santella served four years on probation. The current accusation represents a repeat offense that endangered the health of his patients. 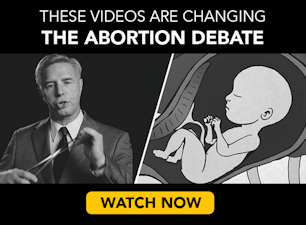 Operation Rescue also found that “Santella served five years of probation in a 1984 disciplinary case that involved serious patient care issues for three female patients.” One of those cases of negligence resulted in a baby that was stillborn. 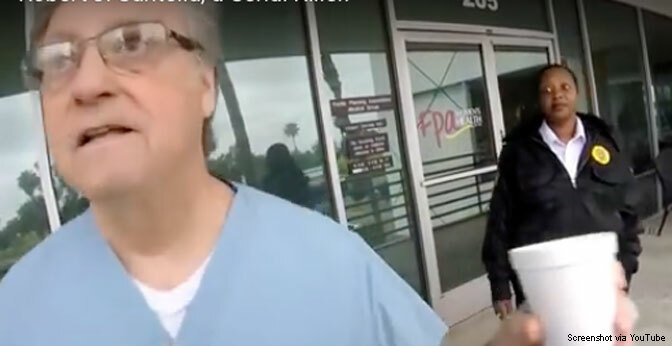 Pro-lifer Allyson Smith also noticed that Dr. Santella was wearing a Sharp Healthcare badge in the video, and found after some research that he was affiliated with Grossmont Hospital. She contacted the hospital regarding the video, and the hospital responded by saying that Santella “is no longer affiliated with any of our hospitals, he is not employed by our medical groups, and he does not practice or have admitting privileges at any of our facilities.” It is unclear whether this action was taken following Smith’s contacting of the hospital or prior to this.